Easily transform your patio or deck into a casual dining space with the pub height Generation set. 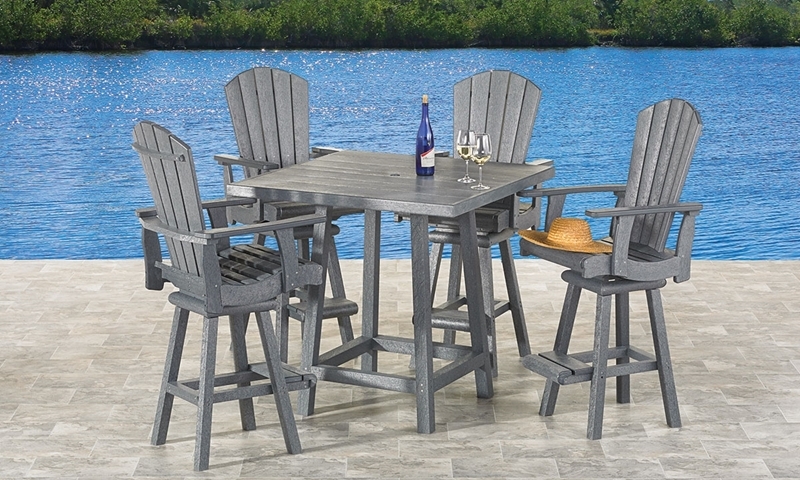 Its 40-inch table and four Adirondack-inspired chairs are all crafted with marine-grade hardware and heavy-gauge plastic made from recycled materials. Each piece is then finished with a wood grain and an automotive-grade, UV stabilized slate grey color. This construction ensures a lasting, low-maintenance look that won’t crack, splinter or fade, while the collection’s substantial weight will keep the chairs and table in place on windy days!